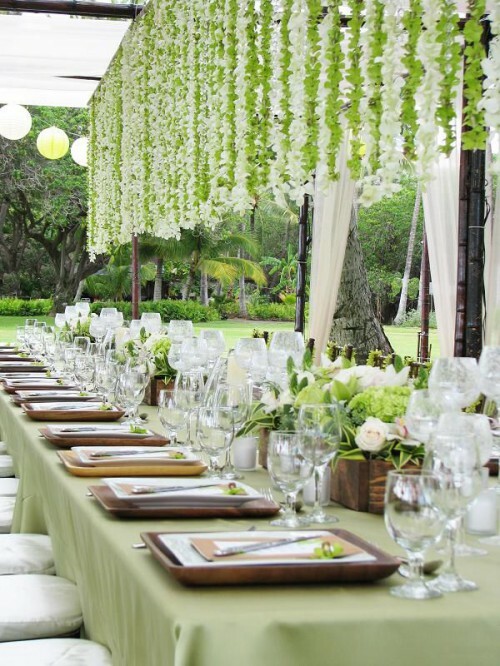 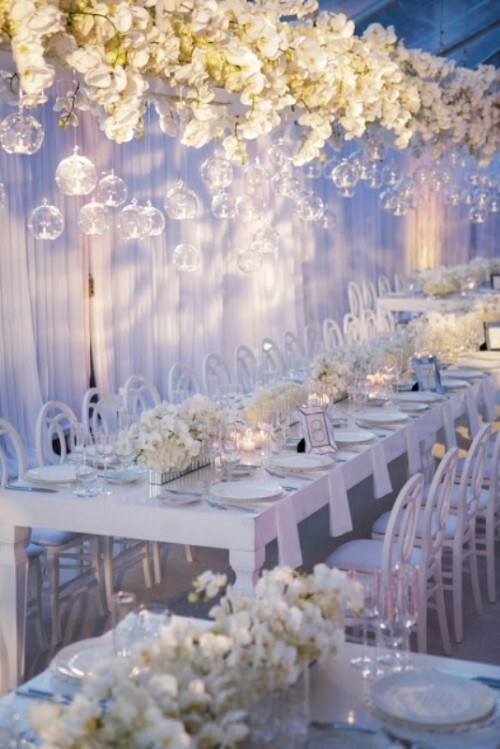 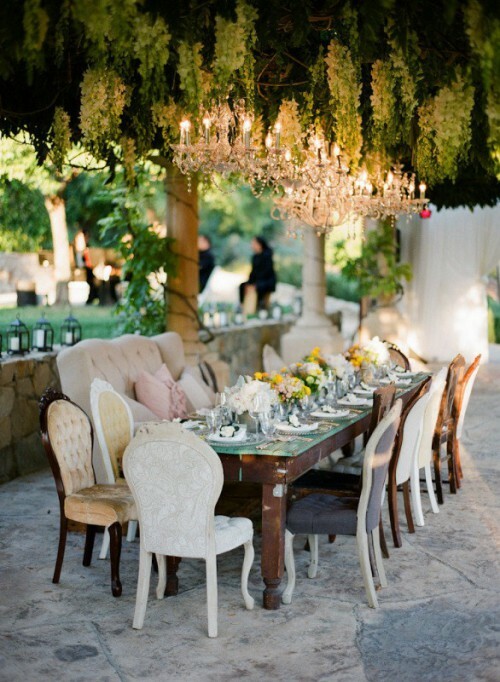 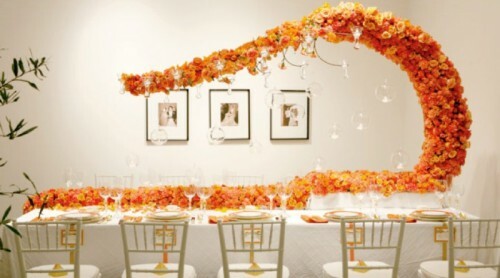 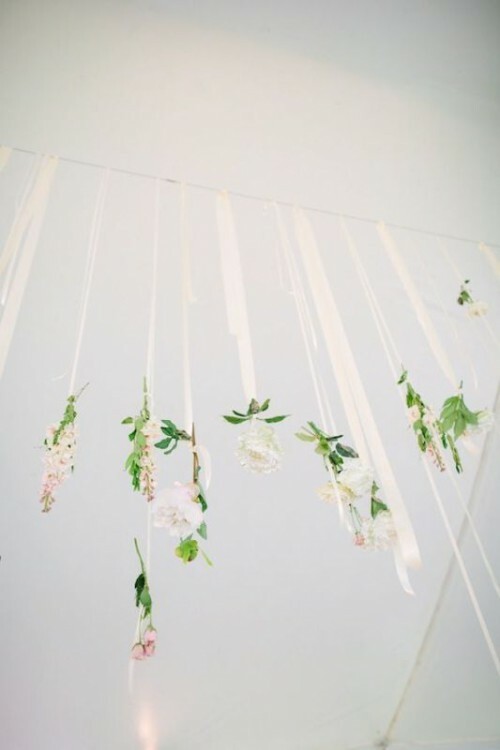 Hanging wedding décor adds some layer of luxury and detail to any wedding reception. 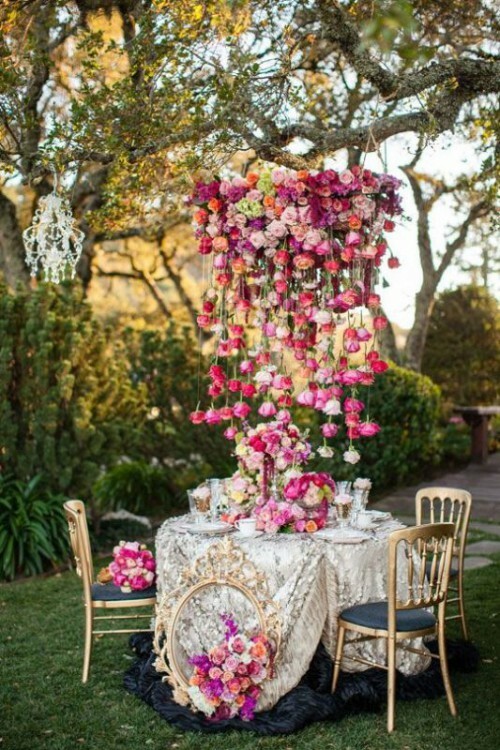 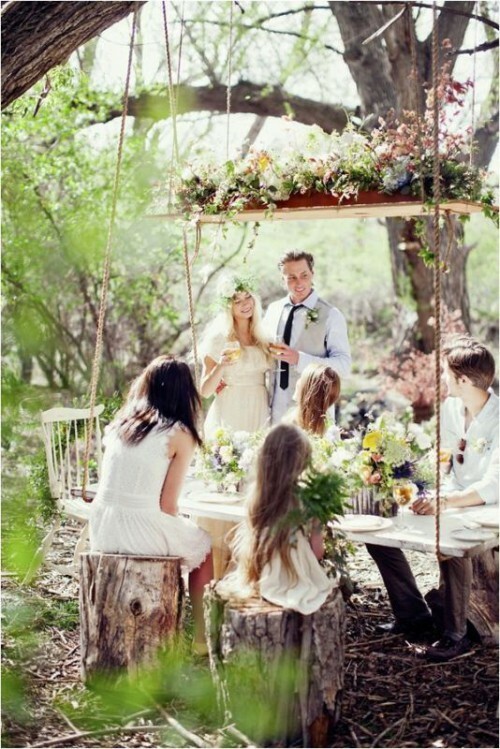 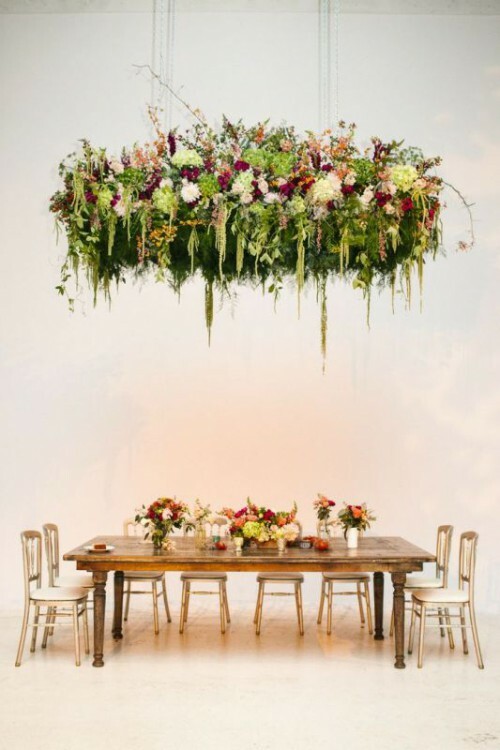 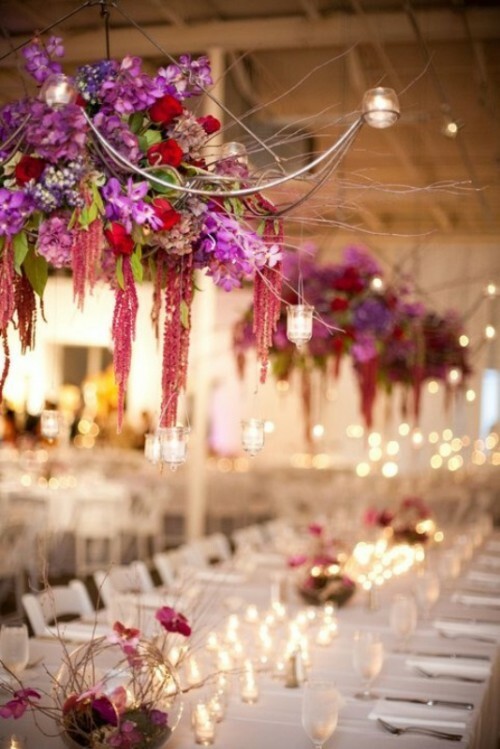 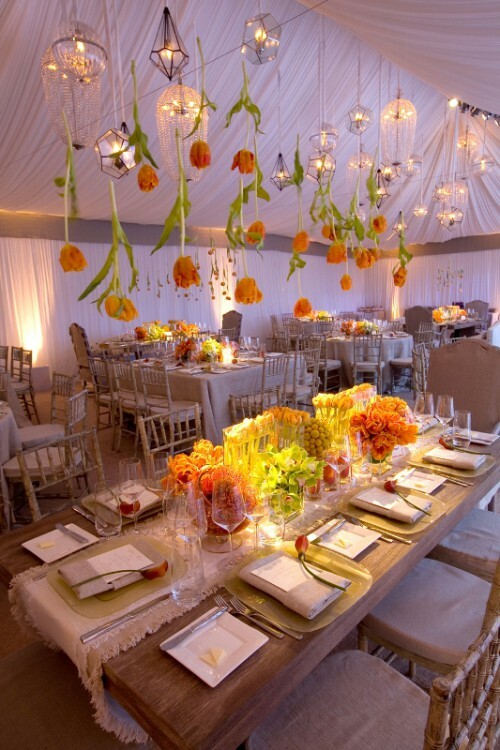 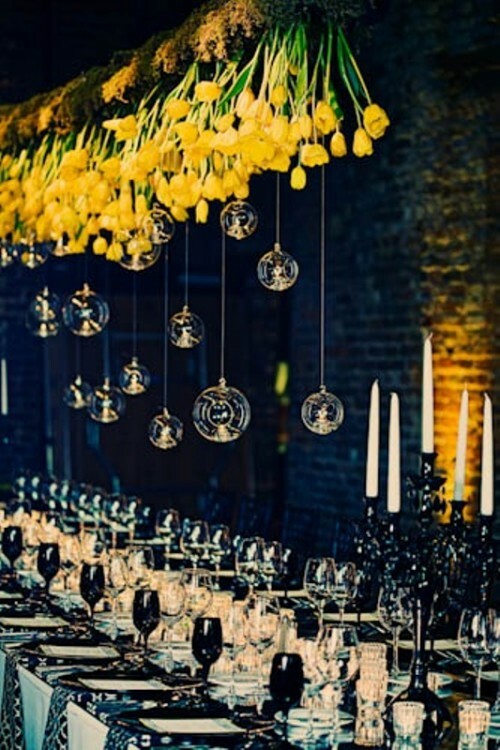 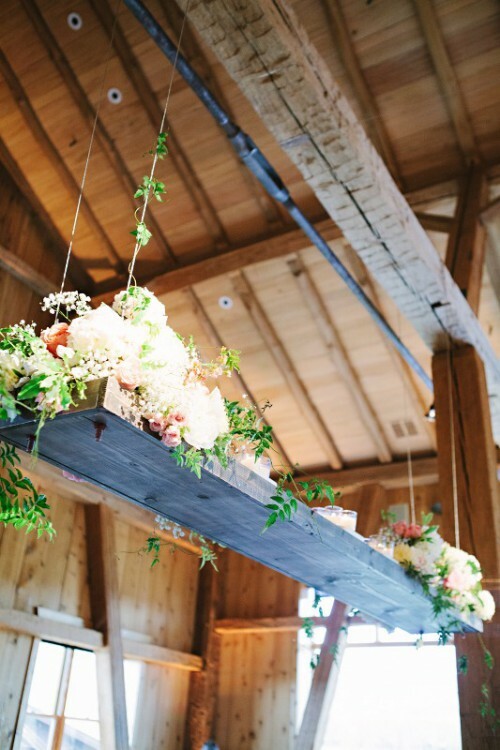 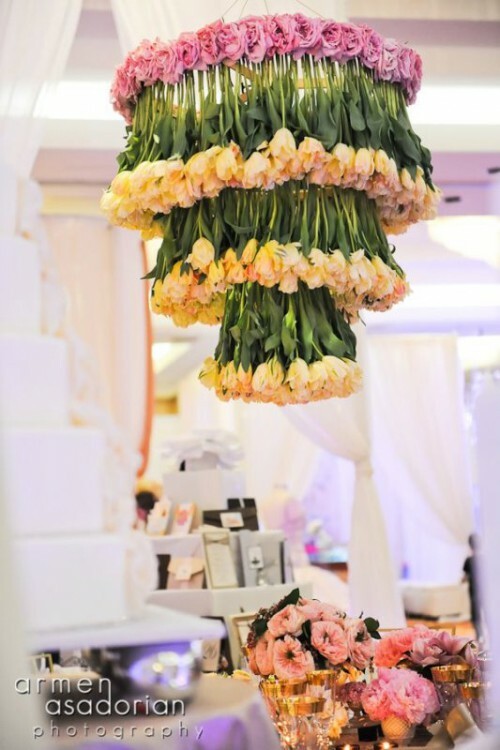 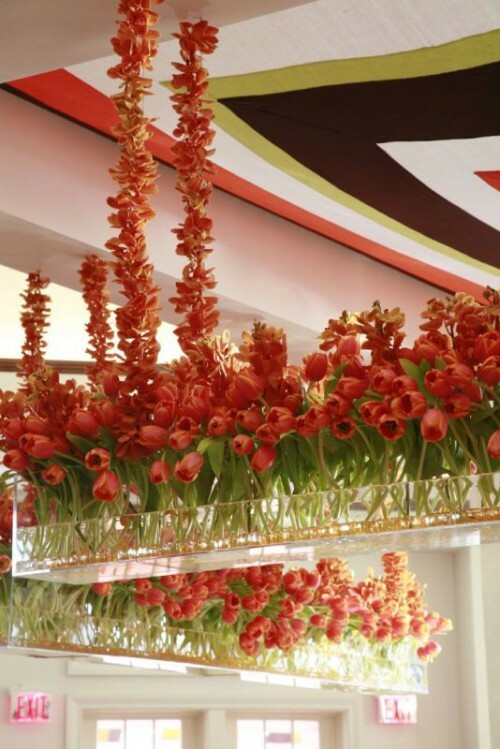 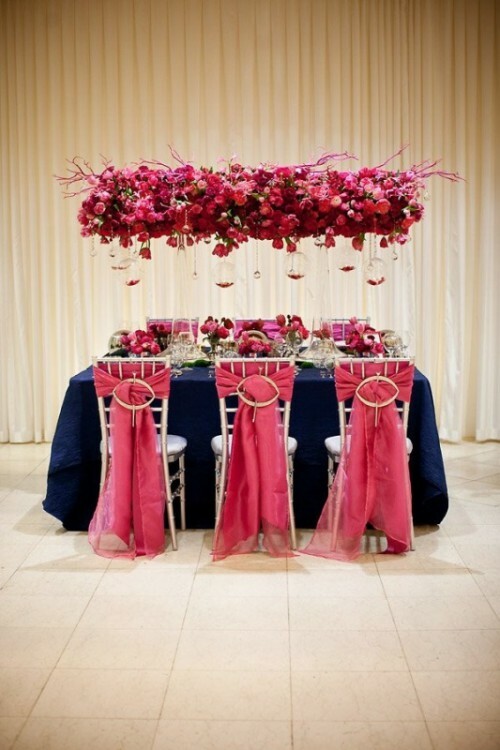 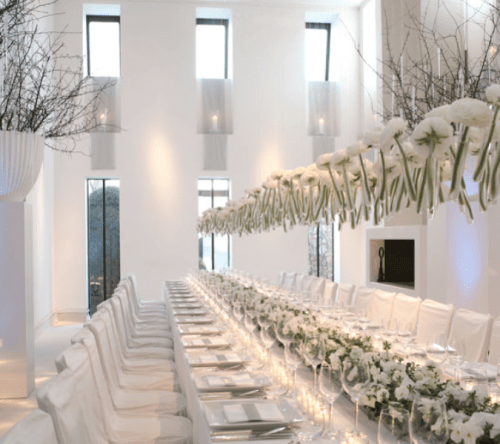 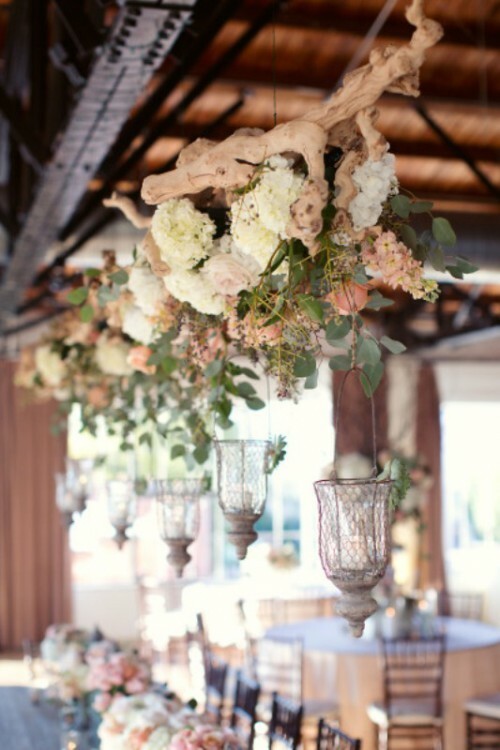 One of the best and probably charming ways is to hang some flowers above the table or someplace else at your reception. 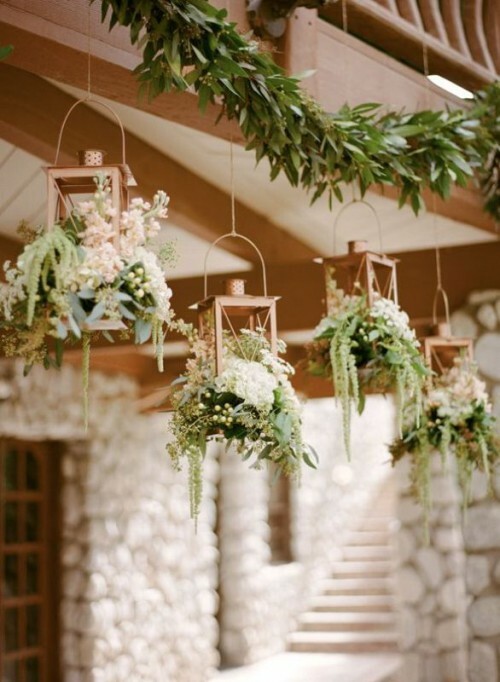 Whether hang individual stems or lush greenery and flowers, they look very romantic and sweet. 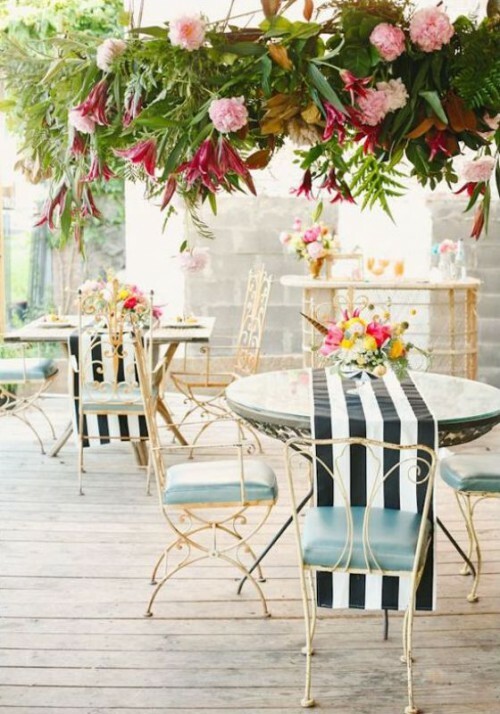 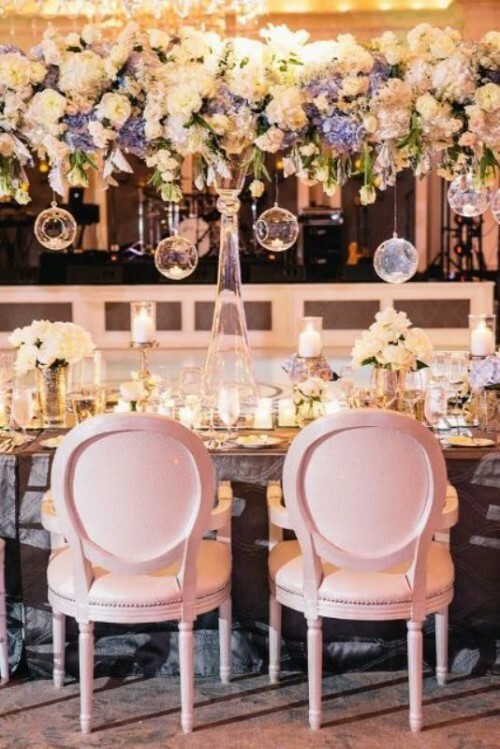 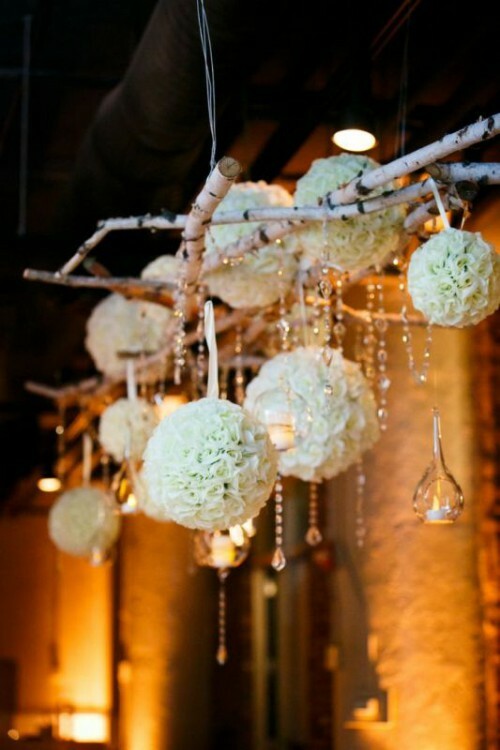 What is more, it doesn’t have to be only flowers, and if the budget permits, you can also add chandeliers, wooden boxes or branches, pom poms or whatever else you like. 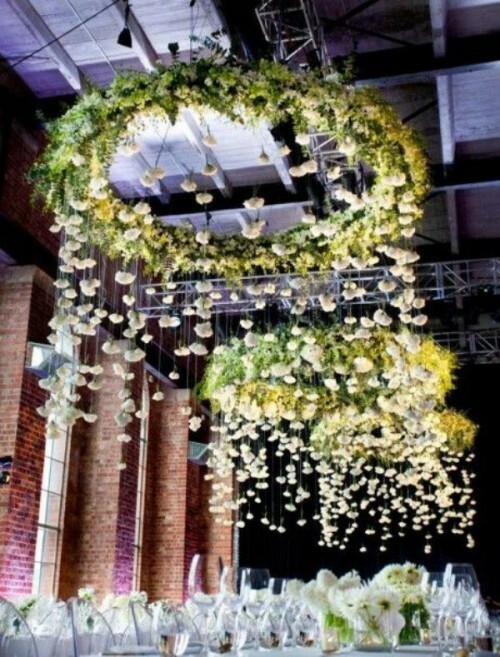 I think it’s such a fabulous idea, if you’re looking for something extra special for your wedding. 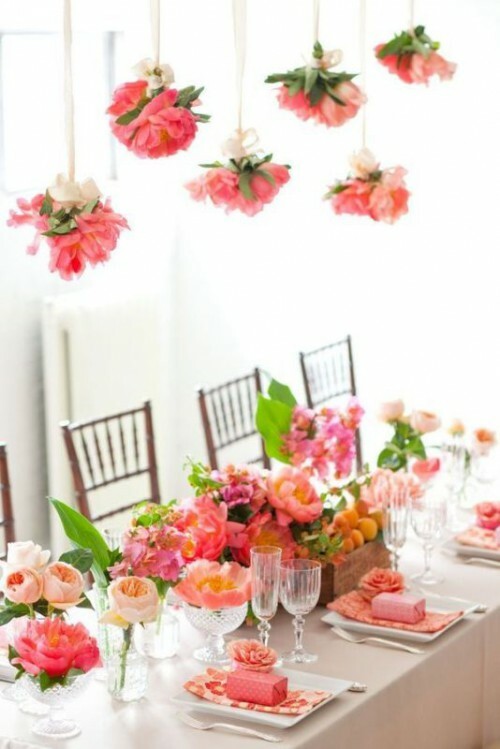 So, I wanted to share with you my hanging flower décor favorites. 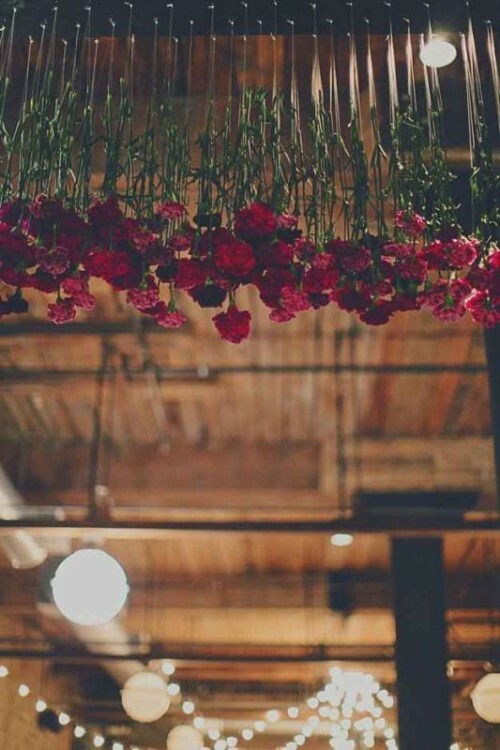 Enjoy and make sure to Pin your own favorites.